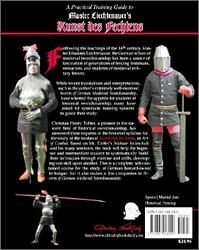 Christian Tobler has donated a copy of his newest book as a prize to the members of myArmoury.com. He'll also sign the copy to the winner of the contest! 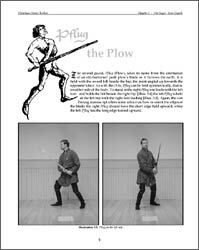 Fighting With the German Longsword is a brilliant book, distilling the foundational concepts that underly the German system and presenting them in a logical order complete with drills and photographic support. Now, the students of German swordsmanship can build their skills in a well-organized and sensible progression of skills. As such, the book will prove useful to anyone interested in historical swordsmanship. Fighting draws from the corpus of German manuscripts, including those of Hanko Döbringer, Sigmund Ringeck, Hans Talhoffer, Paulus Kals, the von Danzig fechtbuch, Jud Lew, Hans von Speyer, and Joachim Meyer. Most of the work is based on Mr. Tobler's original translations, tempered by his experience with the system as a whole. This book retails for around $25 US. You must be joined prior to Monday, December 13th, 2004. All participants will be entered into a drawing and the winning name will be randomly selected later that same Monday. Domestic shipping charges are included with the winning prize, but international winners will be required to pay for shipping. Christian Tobler will be responsible for sending the prize to the winner after he has personalized the book with his signature and the name of the winner. This is an EXCELLENT book, and is to the Liechtanaur tradition what Guy Windor's Swordsman's Companion is to the Italian school of longsword. It is clear and concise, and very well researched. 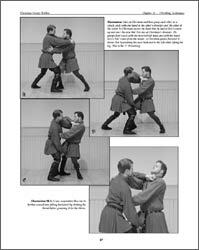 Christian has put together his years of studying the treatises with his practical knowledge to put together this how-to manual that is a must for anyone interested in the German Kunst des fechtens, "the art of fighting". Sounds great! 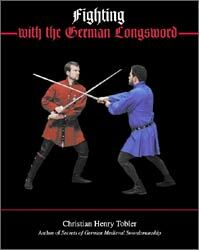 I already own and really enjoy "Secrets of German Medieval Swordsmanship," so I've had my eye on this one. My birthday is the 18th, so I'm kind of in the same boat! Thanks, Christian. This donation was kind of you. A very nice chrismas gift for.... ME. So nice to have a chance to get a new book in a collection. The donation is my pleasure - without the gracious support of the sword fighting, and sword enthusiast, community, my work would be nothing but an obscure curio. You guys make it a living thing! Thats one of the books on my wishlist for Christmas! Sure would like to get that! And that for a book Amazon says it's available in 2 - 3 weeks. When the estimated date arrives, I simply get a notification that the dispatch is postponed for another 2 - 3 weeks. The winner will be announced this evening.